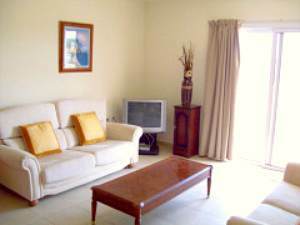 Bright and spacious first floor rental property Cyprus in a small block of only 8 apartments. 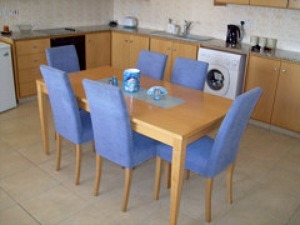 Fully furnished, very well equipped, 2 Bedroom Apartment with Large Communal Pool. 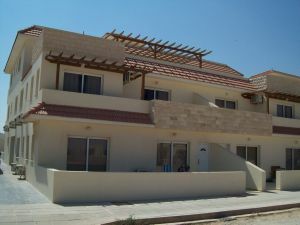 Located on the first floor this Cyprus rental property is just a short walk from the stairs or lift. 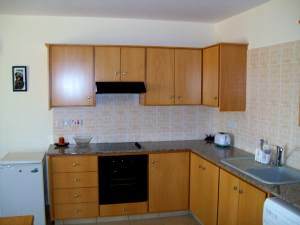 The kitchen is also fully equipped with pots, pans, crockery, cutlery and glassware. Everything you need for a comfortable stay. 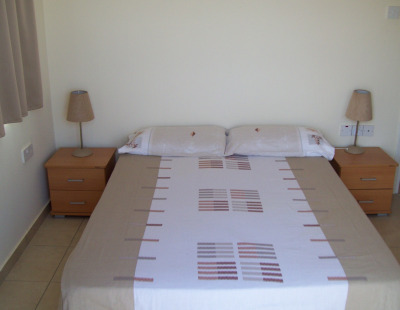 Fresh Bed linen and duvets supplied. 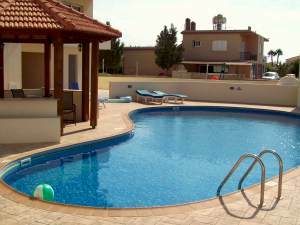 This apartment to rent in Cyprus is less than 5 minutes drive to Potamos Liopetri. 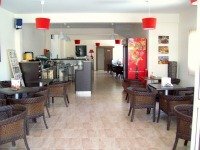 Where you can enjoy lunch at the one of the local tavernas, overlooking the sea.